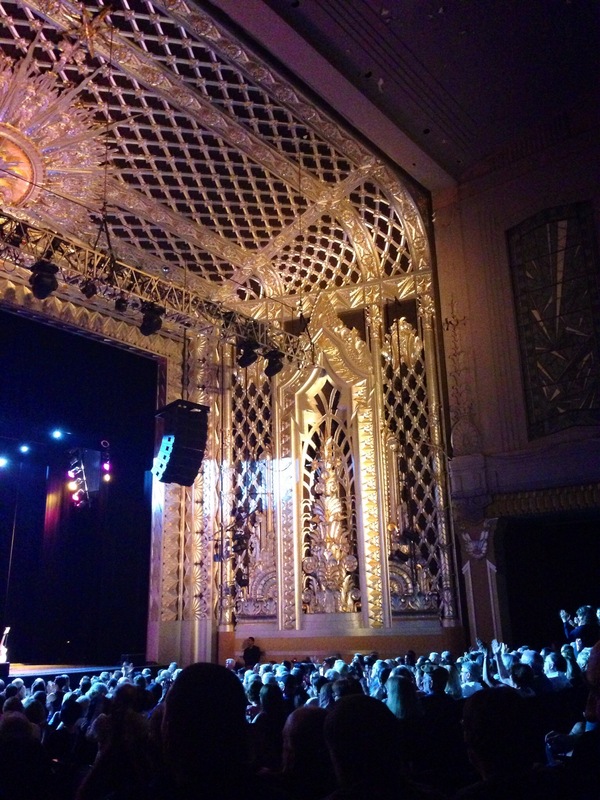 The glorious Saban Theatre in Beverly Hills, CA. 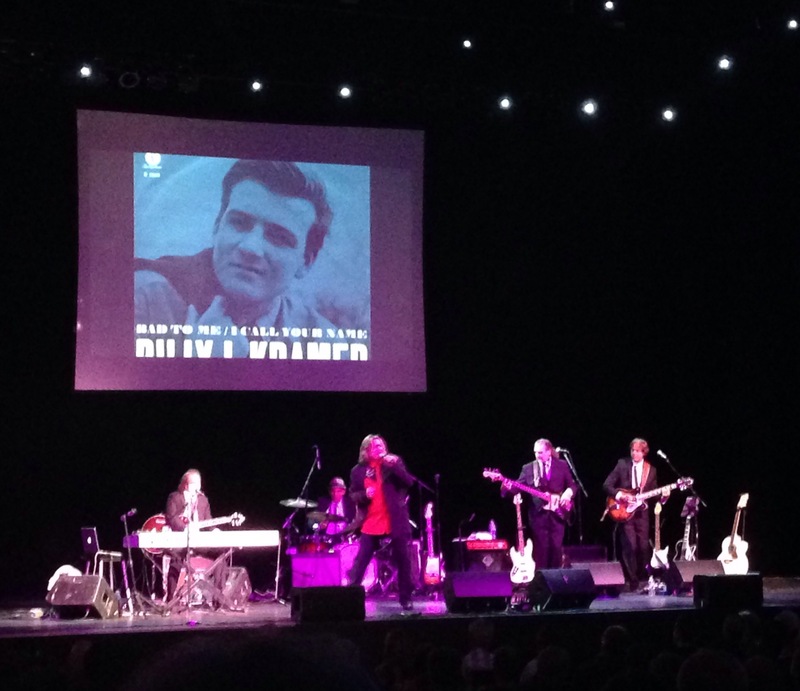 Friday night, September 19, 2014 at the fantastically historic Saban Theatre (1930) in Beverly Hills, joined by my fellow music loving friend Maxine for an evening of Brit Pop bands of the 60’s. We had such a jolly good time! No, I’m not from England, nor was I alive in the 60’s, but as a genuine lover of all music, I have always had a personal fondness for the light and frolicky quality of that era’s music and was really looking forward to a fun night of music from the fabulous 60’s! After a rather long running, tepid and unnecessary performance from a local 60’s band The Malibooz, Terry Sylvester of The Hollies came out and got the crowd shaking to “Bus Stop” and “Carrie Anne” making us beg for more. Literally! Really, they should have been given a much longer set time. They sounded so fantastic and I was completely bummed out there was no time for “Long Cool Woman,” “He Ain’t Heavy, He’s My Brother,” and what about “The Air That I Breathe?? 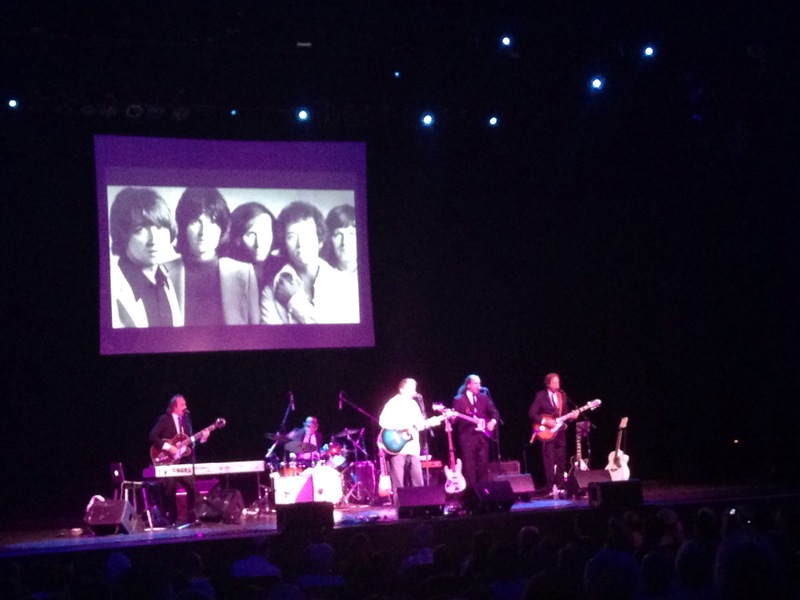 ?” Next time, skip the opening local act and give the real talent more stage time, PLEASE? 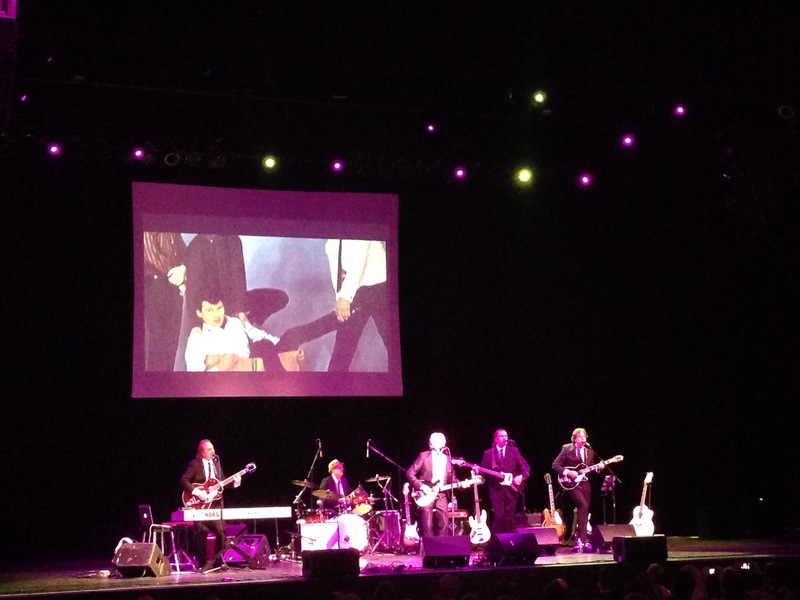 Next up, Mike Pender of The Searchers. Mike was quite the handsome young buck back in the day, and I gotta say, he is still LOOKIN GOOD. Decked out in a black suit with a full head of thick wavy hair,the term SILVER FOX comes to mind. I went wild for “Needles and Pins,” one of my personal all time favorite songs and of course the always playful singalong “Love Potion Number 9!” More! More! We want more! 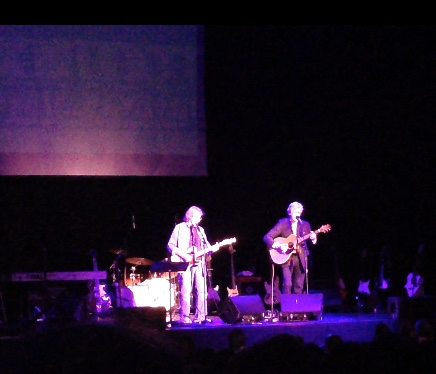 Chad and Jeremy took the stage and amazed everyone with their incredibly timeless voices. Singing mostly acoustic, they were beautifully on key. Impressive! “Yesterday’s Gone,” “Willow Weep for Me,” and their big money maker, “A Summer Song.” What a delightful duo these two are. Carrying their audience back to less complicated days of young love and warm summer days at the beach. Both English, Jeremy is a very well spoken man wearing a suit, while Chad is now a jeans and leather necklace wearing hippy living in Idaho. Go figure! But they still sound wonderful together! Billy J. Kramer posseses a very large stage presence. He is all over the place! He sang his hit “Bad to Me,” as well as truly respectable versions of his famous 60’s cover of the Burt Bacharach song “Trains and Boats and Planes,” and the Walker Brothers smash hit “The Sun Ain’t Gonna Shine Anymore.” He is an extremely passionate man, wholeheartedly dedicated to the hey day of the British Invasion. He even wrote a song called “To Liverpool With Love,” in honor of Brian Epstein who helped catapult The Beatles to mega success. I liked Billy. I really did. I think he is a talented musician worthy of this tour, but if I were running the show, I would have swapped places with him and The Hollies. Just my opinion, but in all seriousness. 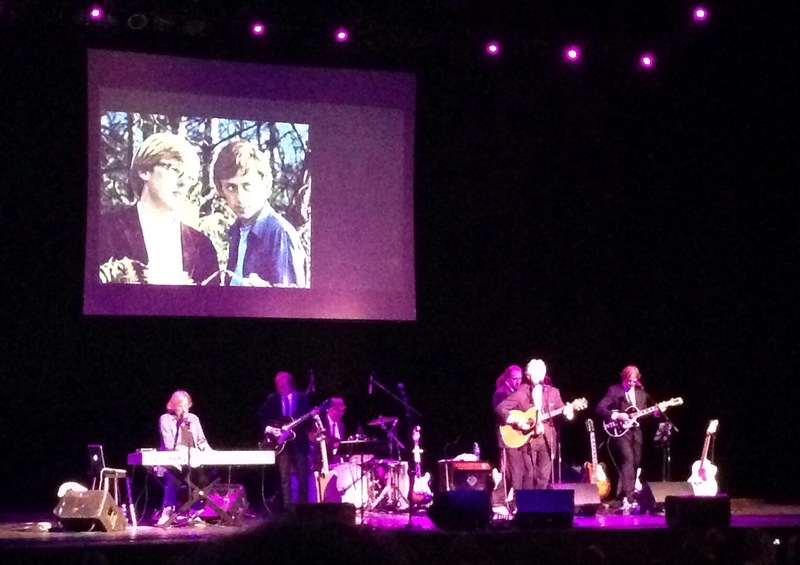 Peter Asher of Peter and Gordon, who was more or less the emcee of the night, wooed us with “I Go To Pieces,” “A World Without Love,” and a sassy, snappy “Lady Godiva.” He is a HOOT! Wearing a black and white checked suit, brimming with youthful energy and full of wonderfully entertaining stories about the good old days back in England. 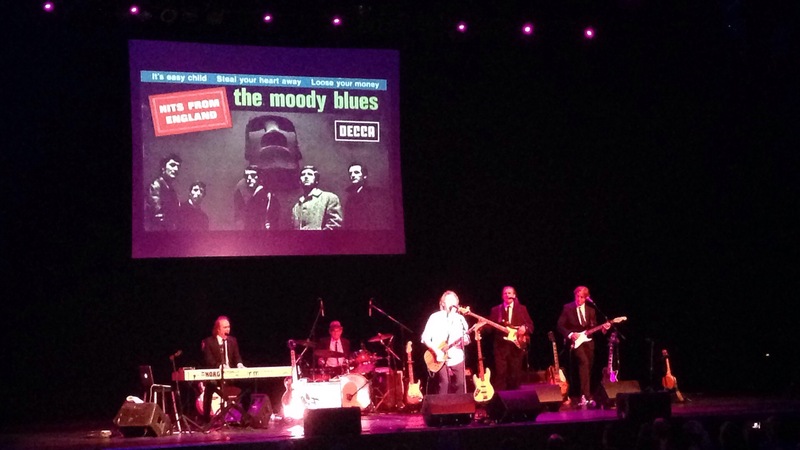 And last but not least, was Denny Laine of The Moody Blues! Strangely, his set was also incredibly short but thank God for small miracles he did play another one of my all time favorite tunes, “”Go Now.” Ohhhhh I love that song! Love it! He appropriately ended the night with The Wings’ hit “Band on the Run,” and I listened to it as I was heading out to beat the crowds to the garage. What a show! What a lineup! A few things could have been better, but it really was awesome to hear snippets from all these guys, still singing and sounding remarkably solid. Outta sight, man! Now this is a concert I would have gone to! I love 60’s British bands!!! I’m glad you had fun. Thanks for sharing and making me feel like I was almost there! Sounds like a fun concert. 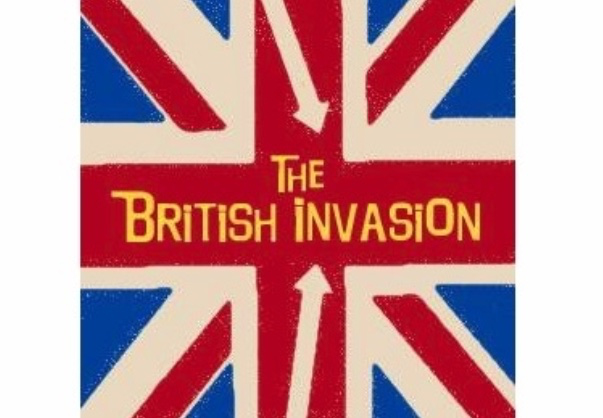 I think I appreciate the British Invasion bands more now than I did as a little kid. I read Graham Nash’s autobiography this summer which really gave me a better perspective on some of the major personalities of that era. Seems as though they were all connected in some way or another. Sounds like you had a good time. It’s amazing how those bands were able to crank out so many three minute pop hits.